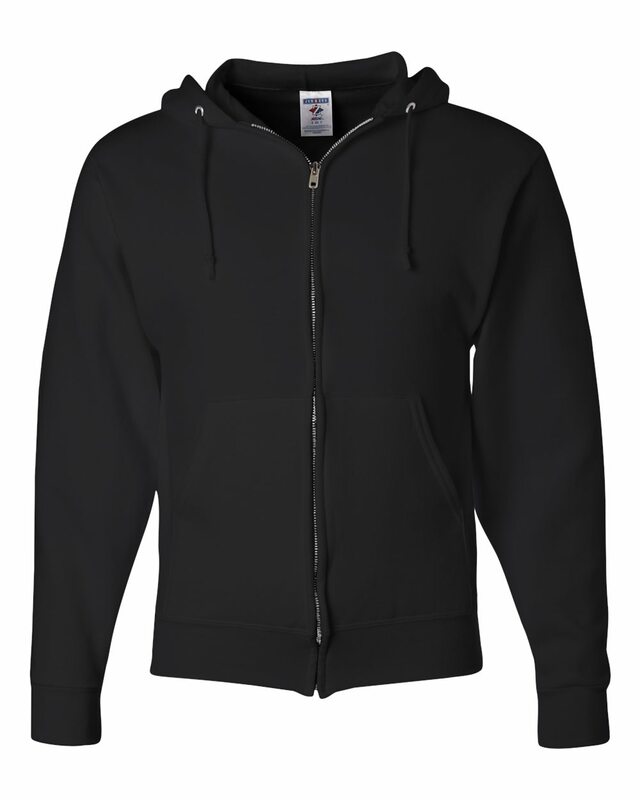 A go-to custom sweatshirt for schools, camps and casual offices, this full-zip 50/50 cotton/polyester custom sweatshirt delivers stylish warmth and comfort with a single-ply hood and front muff pockets. 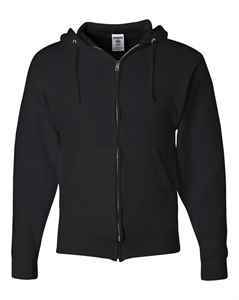 The JERZEES® NuBlend™ Full-Zip Sweatshirt delivers casual warmth and comfort. Made with 50% Cotton / 50% Polyester NuBlend™ pre-shrunk, pill resistant fleece, this custom hooded sweatshirt has a high stitch density, giving it a perfectly smooth printing canvas to ensure your custom logo or design is crisp and clear. Front muff pockets and a single-ply hood with matching draw-cord provides cozy warmth and two-needle cover-stitching on the neck, armhole and waistband provide durability.